Stargazing and astrophotography are wonderful hobbies; but to indulge in either, you must have the right equipment. The right equipment for hobbyists and professionals alike generally includes one of the Celestron telescopes at some point. The first Celestron telescope was introduced in 1964 and the company has led the industry in innovation and quality since. That is why the best Celestron telescopes are so frequently sought out. There are many Celestron telescopes on the market today. Each can fill many needs, but you will want to find the right fit for your specific skill level and needs. That is why we have built out this list of the best Celestron telescopes for a variety of needs and budgets. 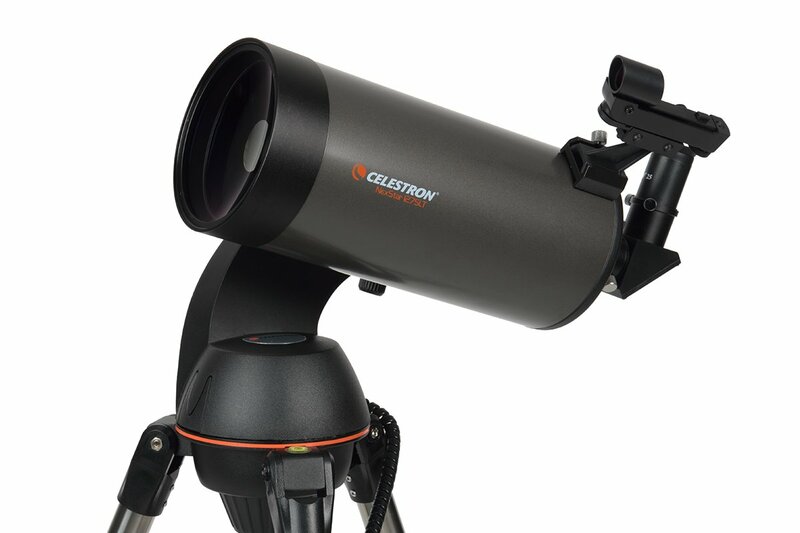 Today we will review the best Celestron telescope for beginners, the best Celestron telescope under several price points, and the best Celestron telescope for astrophotography. 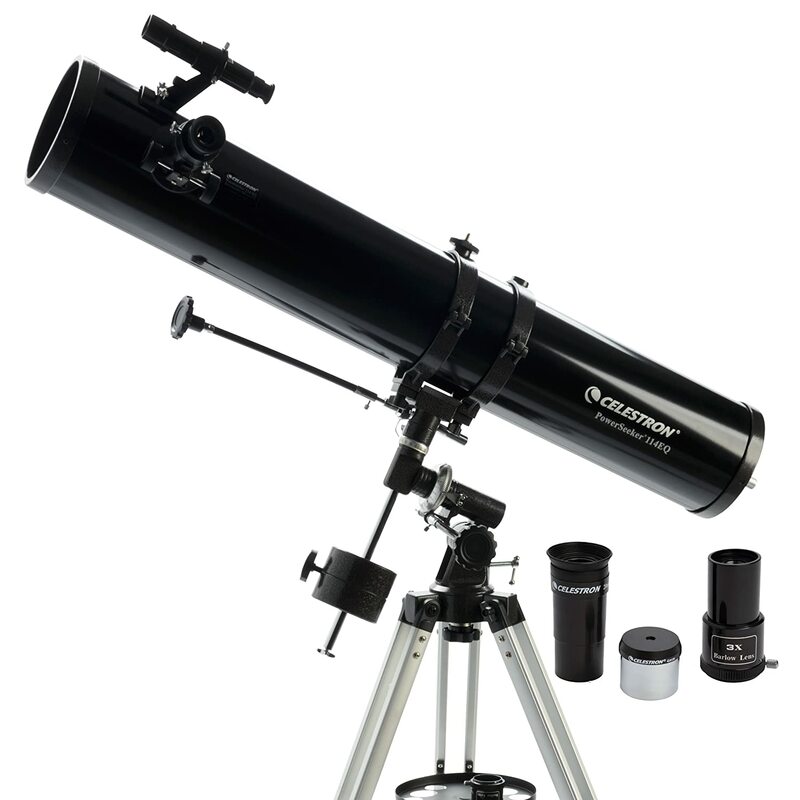 What to look for in a Celestron Telescope? Buying a telescope with the highest power sounds the the perfect thing to do, but high power can be a Catch 22 situation. Yes, high magnification makes an object appear larger, but the light gathered will be spread over a larger area…creating a fainter image in your eyepiece. To combat that, you will need to have an eyepiece with the right specifications to get the most out of a high power telescope. Every telescope will be equipped with at least one eyepiece. An eyepiece for a telescope is rated in millimeters (mm). Smaller numbers offer higher magnification, i.e. a 10 mm eyepiece will offer a higher magnification than a 25 mm eyepiece. with smaller numbers indicating higher magnification. It may sound as if you will get the best view of an object with a high power telescope with a higher magnification eyepiece, but that is a tad misleading. You will get a better view of a smaller area, but will have trouble viewing a larger object such as a nebula or cluster. Another factor to consider is that it can be difficult to keep an object within the sight field of your telescope with a higher magnification eyepiece unless you are using a motorized mount. Additionally, you must keep in mind that higher magnification eyepieces require more light to provide a clearer image. To recap: lower magnification eyepieces make it easier to find and keep objects in view and require less light, so it is easier to view dimmer objects. After that long dissertation on eyepieces, you might think there is nothing left to know about a telescope! You have to know about the aperture size, though. The aperture size determines a telescope’s ability to gather light. Since light is the true key to a telescopes power to observe, the size of its aperture is key to better images. Aperture size describes one of two things, depending on the type of telescope you buy. With refractor telescope, it refers to the diameter of the objective lens. With a reflector, it refers to the diameter of the objective mirror. Finally, we come to the focal ratio of a telescope. You can calculate a telescope’s focal ratio by dividing its focal length by its aperture size. The focal length is the distance from the main lens to where the light converges to focus. A higher focal ratio doesn’t necessarily mean a higher quality image. Frequently, it means you will get the best image for the money spent. It also means that you will be buying a longer telescope and may have trouble transporting your scope to your observation point. There are many ways to categorize anything. Today, we are organizing our reviews by price point, skill level, and specialty. For example, we will review the best Celestron telescope under $3,000 all the way down to the best Celestron telescope under $100. Additionally, we will look at the best Celestron telescope for beginners and the best Celestron telescope for astrophotography. So, without further ado, lets get to the reviews. 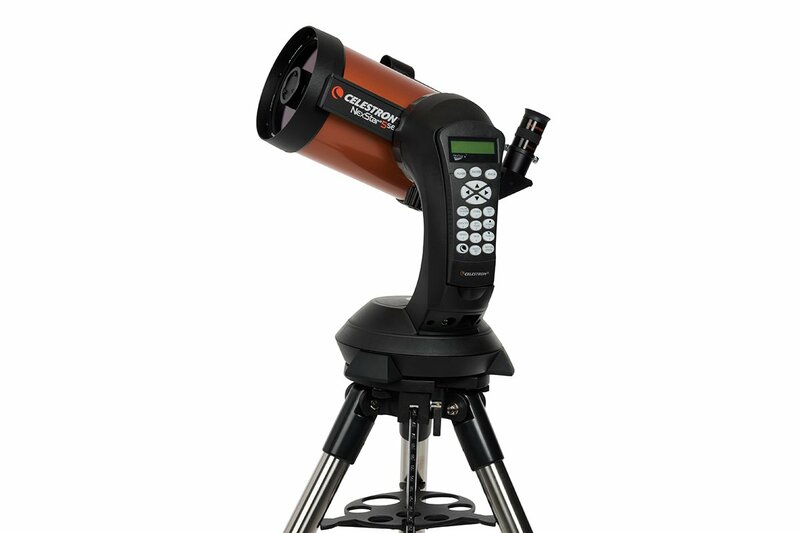 The Celestron CPC 1100 is one of the Celestron’s largest CPC telescopes. It has an extra-wide aperture, multiple computerized features, and the diffraction-limited technology. This telescope has been designed to be easy to carry and simple to use. It provides amateur astronomers with a mesmerizing view of the moon, Sun, planets, and deep-sky objects. 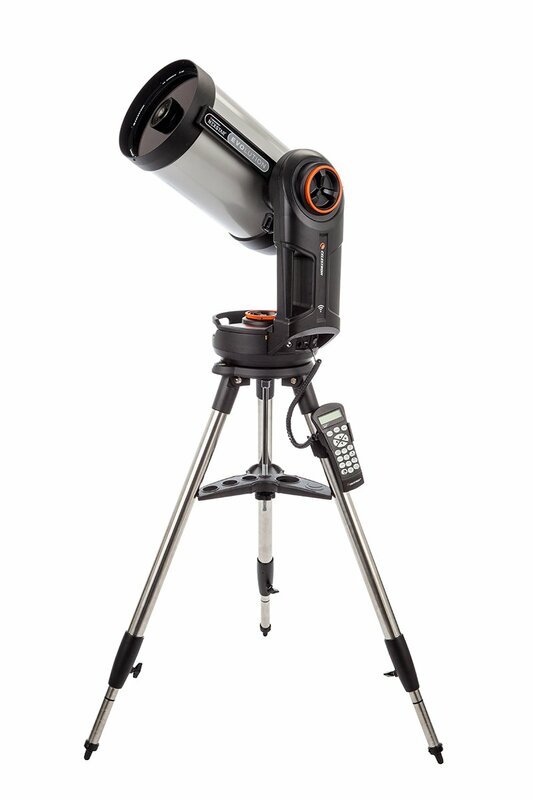 It’s the perfect instrument for anyone wanting detailed views of the nighttime sky. Celestron NexStar Evolution 8 boasts the StarBright XLT, which is Celestron’s system of cutting-edge optical elements that easily outclass any other similar components on the commercial telescope market. One of the most unique features of this telescope is its Wi-Fi functionality, which allows you to use your mobile device like a remote control for the telescope. It’s simply the most user-friendly telescope on the market. Celestron NexStar 8 SE Telescope is an excellent choice if you want to learn more about space, planets, and stars in an easy and funny way. This telescope can also be used for improving your research in the field of astronomy. With an aperture over 200 mm, it guarantees sharp and bright images, keeping stargazing interesting. It’s perfect for camping in the summer as it’s light and easy to transport. 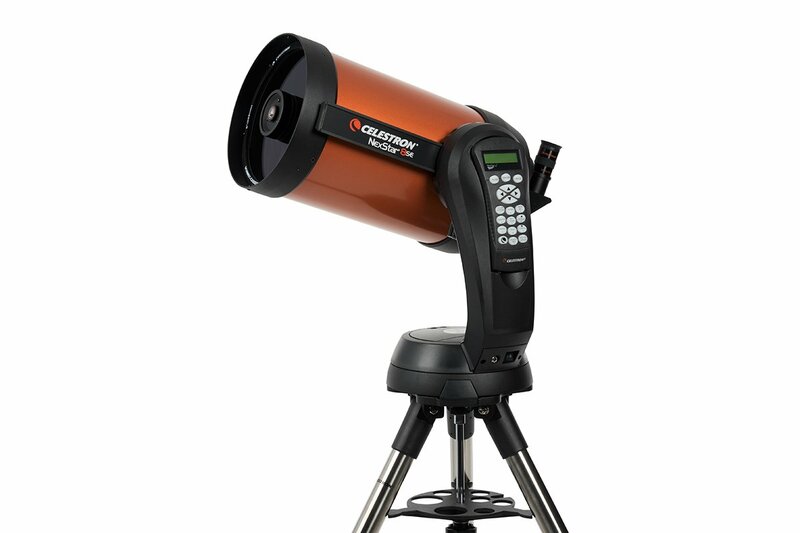 The Celestron NexStar 5 SE Telescope presents accurate images of the celestial objects, with the touch of a button. It blends quality and portability to create a small, simple-to-use precious instrument that still appeals to even experienced stargazing enthusiasts. This telescope is the ideal scope for beginners stargazing fans who are looking for a relatively inexpensive and easy-to-use telescope. This telescope offers a unique and an appealing way to enjoy stargazing hobby. The Celestron NexStar 127SLT is suitable for beginners who are looking for a reliable telescope to begin their Astronomy journey. It’s a good choice for those who wish to enjoy stargazing on a budget. Also, its portability makes it a good choice for those who are looking for a telescope that they can easily carry with them. This scope is especially easy to set up thanks to its single fork arm that can be handled without the use of tools. In addition, the SkyAlign technology makes the telescope capable of aligning itself while aiming at three bright objects in the night sky. The high-quality and durable materials make the Celestron 21045 PowerSeeker EQ telescope an excellent choice for the beginner astronomer. It’s affordable, portable but yet powerful. This telescope utilizes German equatorial mount, which offers improved control over the telescope’s body and tracking process. It offers an astonishing view of the dim stars and whole constellations with the attached lenses bundle. Proper lens care is crucial to getting the most satisfying long-term use from your Celestron telescope. Lens care is quite simple and can be summed up in five easy steps. A word of caution: this method only works on lenses, not the mirrors in a reflector telescope. An ounce of prevention is worth a pound of cure, so the first step is to always use the lens cap. If your telescope doesn’t have one, improvise. You can use a shower cap, plastic sandwich bag, or plastic wrap. If the damage is done and dust is on your lens, your next step has to be using air to remove loose particles. DO NOT blow on the lens because your breath contains a lot of moisture. Use the air blower from a cleaning kit or compressed air. You can easily find a solid lens cleaning kit on Amazon. After blowing the loose dust off your lens, use a soft brush to remove any stubborn particles. Use he air blower or compressed air on the brush first just in case there is any dust on it. If the dry cloth doesn’t clean your lens, you may need to apply lens cleaner. Apply one or two drops of the cleaner in a lens cleaning kit to the cloth. If you do not have a kit, you can use isopropyl alcohol. Never apply the cleaner to the lens because it can pull dirt into your telescope if not completely removed. After you have cleaned the lens with the moist section of cloth, use a dry spot and go over your lens again, being careful to remove all excess fluid. If the grime is still hanging on tenaciously, then put a few drop of cleaning fluid on a Q-tip and apply a little bit of pressure to the stubborn spot. After our comprehensive review of the 7 best Celestron telescopes, you got a good overview on the different Celestron models and their specs. When you decide to buy one, try to define your requirements and the purposes of getting a telescope, whether it was for deep-sky monitoring, astrophotography, near-Earth objects tracking, terrestrial observations, or as a gift for a kid. Also, be careful with the telescope components as they’re made of sensitive materials with precise standards. They must be assembled in a specific manner and work in a specific environment to avoid damages. 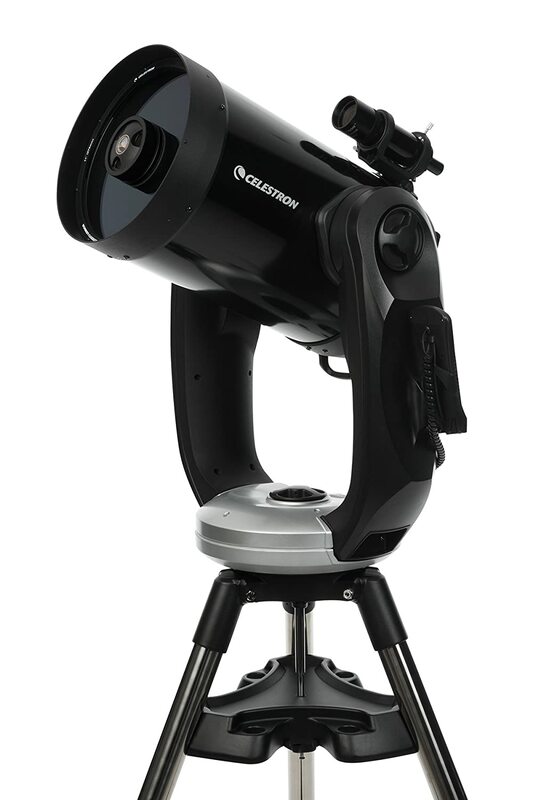 For a beginner, we recommend the Celestron NexStar 127SLT as it has high specs and it’s gentle on the wallet. No, let us know what do you think and what’s the best telescope for you?